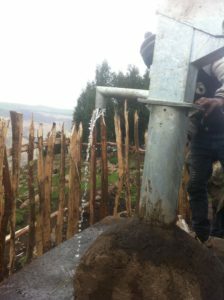 I am actively participating in Hand dug wells and Spring development projects “Water for a village” in the Simien mountains with the Australian family; they fund the money, I work as the bridge in between the Aussies and the villagers in translation, facilitate different activities with the the government bodies and contractors. It is really difficult to get clean water in some part of the mountains; mothers and small kids have to walk 1 – 2hrs to fetch water at least twice a day. We built 6 hand dug wells and developed 1 spring so far which solve the problems of shortage of clean water, time and energy wastage…. for 240 families (7 average family member) and more than 1,000 students. And mainly we saw a dramatic change on the children’s health. Donations are possible via gofundme.